Note: This is publication is now archived. For reference only. 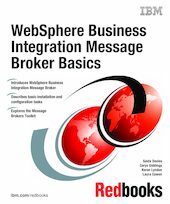 This IBM Redbooks publication provides an overview of the latest release of WebSphere Business Integration Message Brokers and the new Message Brokers Toolkit for WebSphere Studio. The book also describes where to find more information, including product documentation and sample applications.